Smartphones have become a staple in the lives of many techies and non-techies alike. With this ever-growing audience mobile interface design trends have also grown to become cleaner, simpler, and easier to understand. Building a mobile app has never been easier – but that doesn’t mean it’s super easy work! This post outlines 6 interface design patterns you should recognize from popular mobile apps and even use in your own designs. Not every new application would need all of these features, especially because each one is used for a certain purpose. But there is a lot to learn by studying different UI/UX trends and seeing how they can fit into your own ideas. It may seem like a no-brainer yet so many apps launch with overly complicated or tiny login screens. 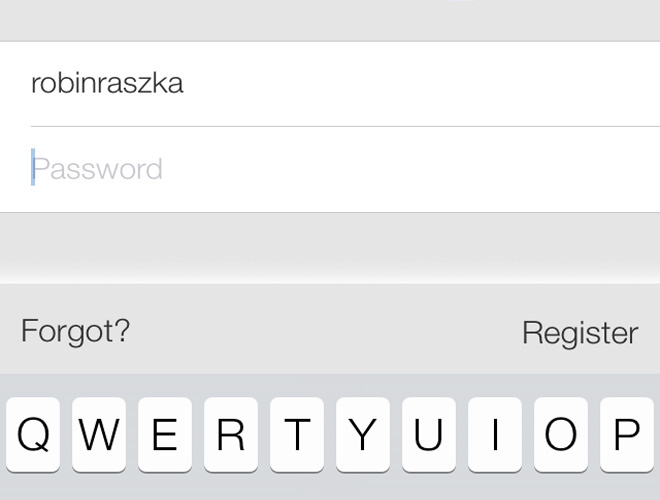 If the user’s only objective on-screen is to log into the app, then make sure the input fields are easy to see & tap. Also try to keep a registration button nearby and clearly within view. Not everyone has great eyesight and you want to capture interest as quickly as possible. This would mean placing an easily-clickable registration link or button somewhere on the login screen. Both login and registration forms should be uniform in design. Think of it more like initial theming for your app UI. 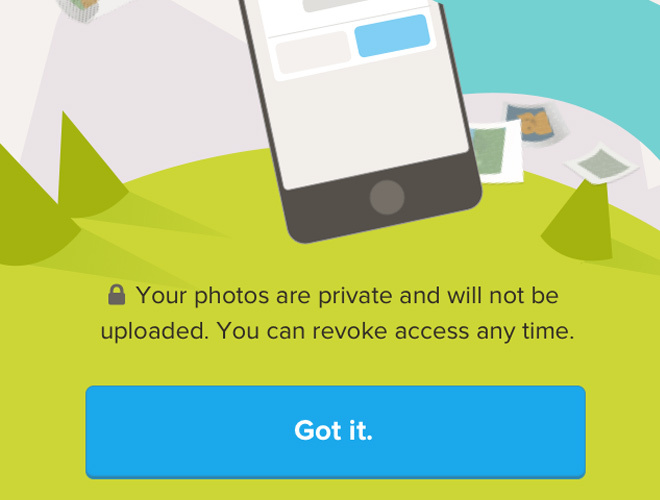 Here’s a piece of UX that I’ve seen in almost every content feed app. When viewing the top of the feed users naturally pull down to reveal a refresh animation. It started with default apps like Twitter and Facebook back in older versions of iOS and since then has caught on rapidly. You could use this design pattern to update content beyond just feeds. It may also be used to load earlier items in a list of messages, photos, profile updates. Basically the functionality is very common but how it’s used could be dramatically altered. Space on the screen will always be important so keep this in mind when adding features to your mobile app. The best additional features tend to compliment tiny screens and offer quick yet accessible bits of content to users. A swipe or tap event should register quickly and behave as expected. Try to think of the areas “off-screen” to be just as real as the interface on-screen. There are some other alternatives to menu navigation, but when I think of mobile app design smaller screens will always be a reality. You should offer users a way to traverse multiple screens without much of a hassle. This can be tough if you have 6 or 7 different app views. 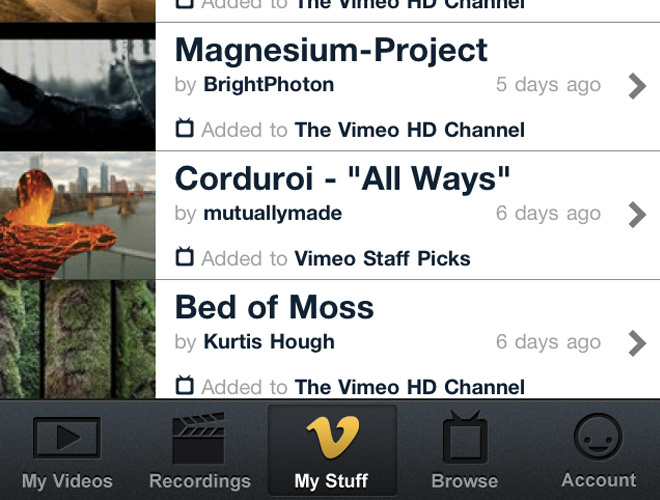 iOS created the popular IUTabBar interface which holds anywhere from 1-5 tabbed buttons at the bottom of the app. This bar stays fixed at the bottom much like the top title bar. It’s great because users can switch to any view from any page without needing to use the back button. Alternatively many designers have taken a liking to the hidden sliding menu. This is usually referenced from a 3-bar hamburger icon which toggles a menu into view from the side. Obviously the benefit is that you can hold a lot more than just 4 or 5 links. It requires more programming work but users have grown accustomed to this style of menu navigation. But mobile apps for Android and iOS handle swipes, double-taps, triple-taps, and other specific user interactions. Try your best to take advantage of these and think of some unique opportunities to expanded UI design. Every application will be different based on its purpose and value to the user. 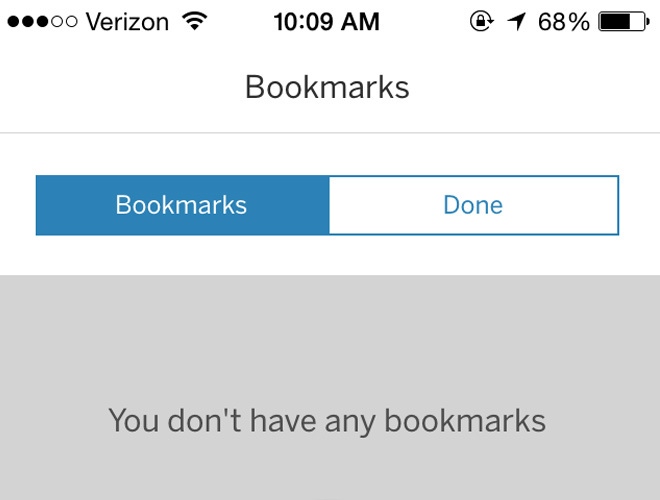 Content-oriented apps may want to hide extra details or swipe between pages quickly without going back to a list view. Plan this idea early in the wireframing process before taking the app into design or development. The design process would be especially important to convey how the animation behaves. Swiping is a natural gesture on smartphones and offers more than meets the eye. You may recognize these small button groups fixed into the title bar of mobile applications. They’re typically grouped with 2-4 options and they behave much like tabs in that you can switch between the views quickly. Segmented controls are the name for these buttons on Apple’s iOS devices, although they may go by different names on Android. Yet the benefits are still generally the same. Users can quickly move between related views on a single page without updating the bottom tar button, or updating the current “back” page. These control buttons may be ideal on any single page where you have a lot of information to show. For example a map view with directions, traffic, and related search results. Or even a profile page with personal info, photos, videos, and other media. Segmented controls offer a type of nav-within-a-nav so you’ll be able to cram more content onto a single view. Probably one of the best features you can enforce is a guided tour page. Right after users signup or sign in for the first time they will undoubtedly have some questions. Curious users will fiddle around and learn how the interface works on their own. But that doesn’t mean you can’t help them along the way. Even aside from a fully guided tour you might instead offer a few screens introducing the app. This could be a general walkthrough of the features, the different views, and how to get started. Any special introductory message will make new users much more comfortable diving right into the controls. If possible try to gather feedback from beta testers about which UI features are most confusing. Questions may not arise from the design itself, but rather a confusion on how the application works. This kinda stuff is perfect for a guided tour where you demonstrate how it all works and which screens will get you there. See if any of these design patterns can fit into your next mobile app design. Also if you have similar ideas on app UI design feel free to share your thoughts.